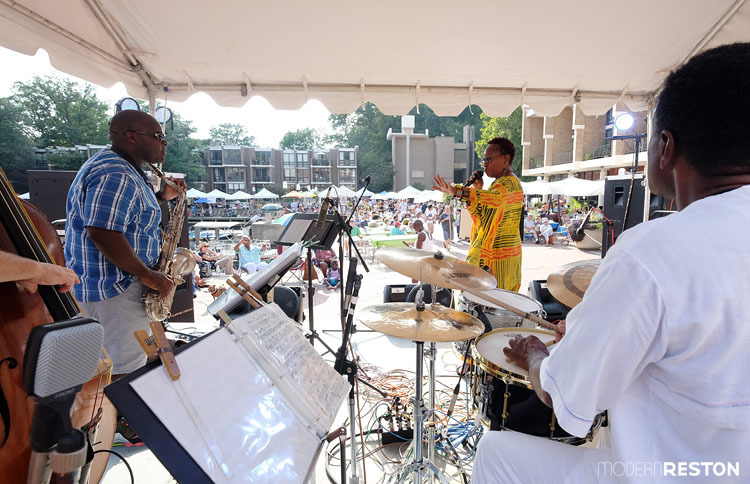 The arrival of September means that it’s time for two of Reston’s most fun events: the Lake Anne Jazz Festival and the Reston Multicultural Festival. Both are Modern Reston favorites! Other highlights this month include the Herndon Labor Day Festival, ChalkFest, Dulles Day, and some of the last summer concerts. Here’s what’s happening in September in the Reston area of Northern Virginia, including Herndon, Great Falls, and Vienna. The Reston Multicultural Festival brings three stages of entertainment to Lake Anne on September 24th. On the first Thursday of each month, a variety of food truck vendors provide lunch and dessert options. Bring lawn chairs or a picnic blanket and enjoy music by the lake. This week’s concert features bebop jazz. FREE. Bring the family for a live concert with food trucks, pop-ups, and children’s activities. This week’s concert features a rock band performing classics and originals. FREE. Get a jump start on your Labor Day holiday with some fun around a crackling campfire. Roast a hot dog and make a s’more. Stomp your feet, sing some songs and enjoy the last weekend of summer. $7/$9, preregistration required. Even if you don’t usually listen to jazz, we still highly recommend the excellent Lake Anne Jazz Festival on September 3rd. This annual event is a Modern Reston favorite! Enjoy waterfront blues, funk, R&B, and jazz performed by seven performing artists. Prepare for ChalkFest with this free workshop led by by chalk artist Patrick Owens. Bring a picnic blanket and chairs for an evening of live music in a grassy park setting. This week’s concert features danceable rock. FREE. The annual Labor Day Festival features unlimited Virginia wine tastings, craft beers, great music, a craft show, food vendors, and lawn games. 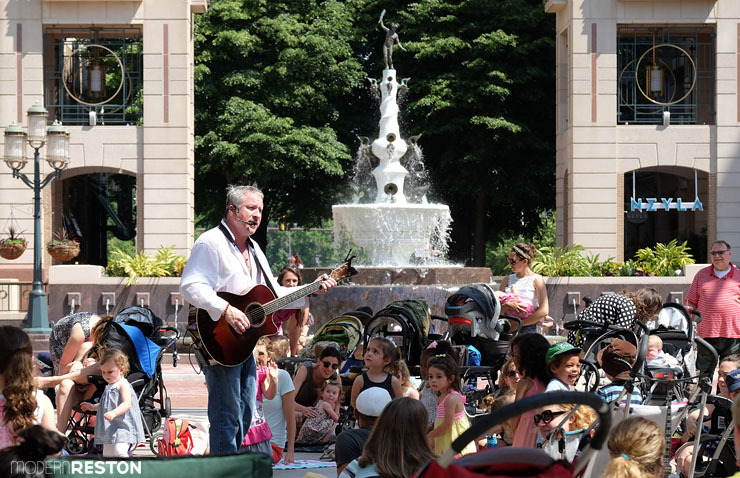 This popular musician performs weekly to a crowd of children and their grownups. FREE. On Tuesday evenings in the summer, the Pavilion turns into a petting zoo with kid-friendly activities such as Legos and Play-Doh. FREE. On Wednesday evenings in the summer, the Pavilion turns into a dog park with toys, treats, wading pools, and giveaways. FREE. This upbeat musical comedy will be playing at the NextStop Theater through October 9. Tickets start at $25. Bring the family for a live concert with food trucks, pop-ups, and children’s activities. This week’s concert features jazz, big band, swing, and pop. FREE. 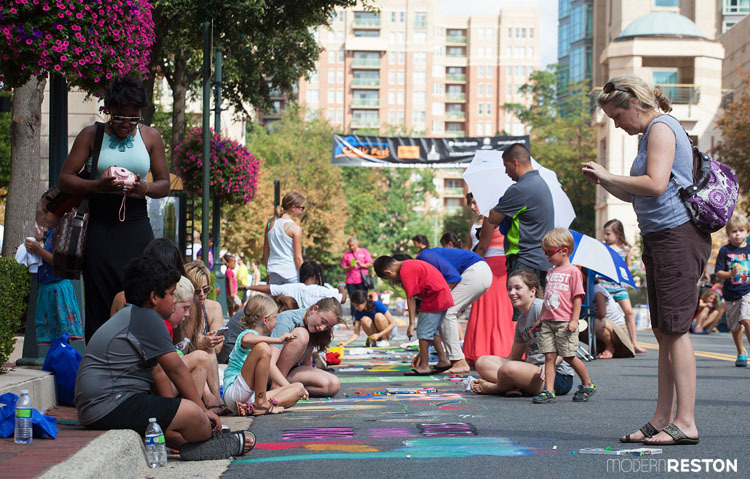 Reston Town Center’s ChalkFest will fill Market Street with color on September 10th. The public is invited to create chalk drawings on Market Street. There will be prizes for professional artists, amateur artists, families and kids. Register online. 95 families will be selling a variety of items. Register online to reserve a space for selling. The festival includes eight American Indian tribes from Virginia including the Rappahannock dancers and drummers. Enjoy hands on activities and live demonstrations including American Indian storytelling, shooting bow and arrows, throwing spears, and making stone tools. Assist in building a dugout canoe and visit a marketplace of American Indian crafts, pottery and jewelry. Pre-register $6 through 9/6, $7 at door. The show features one photographer and three sculpture artists with a unified theme of the beauty of architecture—specifically exemplifying lines, curves, and colors. FREE. Local author Kristina Alcorn spent two years interviewing Robert Simon and recording the little known stories of his life. Join her as she recounts her journey with Reston’s beloved founder and the writing of her book. Free, register online. Bring a picnic blanket and chairs for an evening of live music in a grassy park setting. This week’s concert features blues. FREE. This ceremony remembers the victims of the attacks of 9/11/01, especially the six citizens of the Great Falls community who died when Flight 77 crashed into the Pentagon. FREE. This lecture and slideshow will demonstrate Chinese art and culture. FREE, registration required. 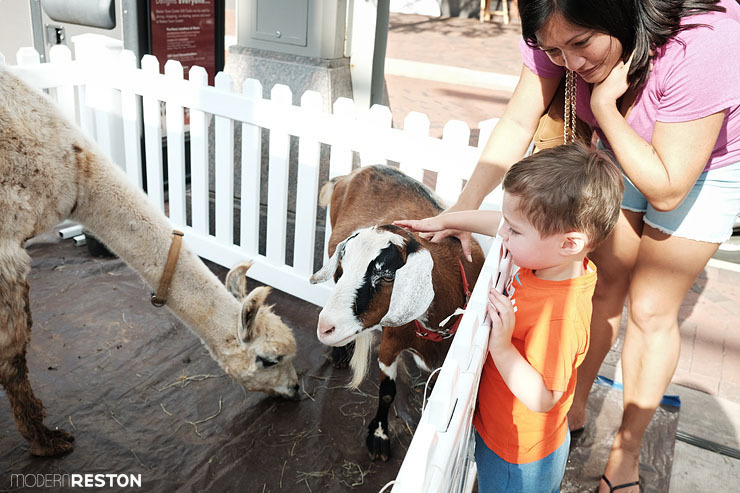 Young kids will love the petting zoo and toys in the RTC pavilion on Tuesday afternoons. Learn about the role of real estate speculation and the evolution of the Tysons landscape, as dairy farms, orchards, and gravel pits became shopping centers and high-tech office buildings. 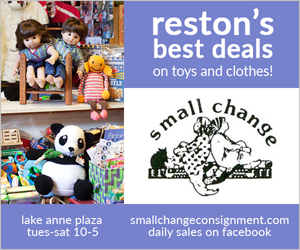 The program will be presented by Shelley Mastran, geographer and Chair of the Reston Historic Trust. A coast-to-coast show brings New Belgium beer offerings paired with inspiring short films, traveling tricks and contests. Attendance is FREE. Proceeds from beer sales benefit Fairfax Advocates for Better Bicycling. Art installation by New York multi-media artist and TED Talk fellow features a magical, immersive environment in a blend of movement, sound, and illumination. On exhibit through November 19. FREE. Bring the family for a live concert with food trucks, pop-ups, and children’s activities. This week’s concert features British rock from the 1970s-2000s. FREE. Enjoy a street party with beer, food trucks, music, and kids’ activities. FREE. It’s a party on the runway! Get a team together and try to pull an Airbus in the annual Dulles Plane Pull. Other events include a 5K on the runway, a car show, a kids’ truck pull, and aircraft displays. This 5K and Tot Trot raise money to help families with children who have serious health problems such as cancer, diabetes, autism, kidney disease, scoliosis, and arthritis. The fair will include 30 booths with fun activities, refreshments, education and giveaways. World champion dogs from the Chesapeake Dock Diving Dog Club will dazzle spectators once again with their leaps and jumps into the lake. Dog treat samples and raffles will be available. FREE. 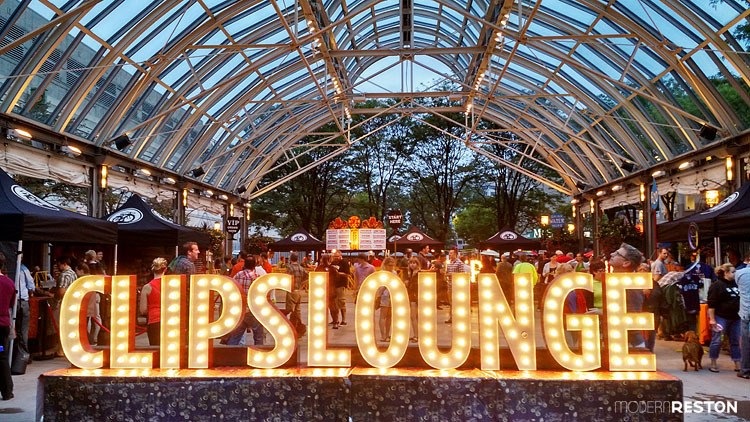 This family-friendly and dog-friendly festival marks the beginning of Oktoberfest season. There will be a ceremonial tapping of the keg, along with live music, games, a moon bounce, face painting, free gifts from Germany, and of course, beer. Admission is FREE, register online. The Better Said Than Done storytellers will share entertaining stories about wildlife, being wild, and living life. Beer, wine and snacks are available for purchase. Tickets are $15. This event is designed for any youth, ages 6-16, regardless of athletic ability. Register online. Bring a picnic blanket and chairs for an evening of live music in a grassy park setting. This week’s concert features a cover band playing hits from the 1970s to today. FREE. Summer may be winding down, but Mr. Knick Knack is still performing weekly at RTC for the kids. Discover how to live more by making a better commuting choice! Exhibits, games, refreshments; win a RTC Shopping Spree; sign up for the 2016 Live More Commuter Challenge; and join the Live More WalkAround. FREE. Jewelry artist Sandi Volpe will show you how to hand knot a fun colorful bracelet or necklace with a variety of beads. $30, register online. Bring the family for a live concert with food trucks, pop-ups, and children’s activities. This week’s concert features a band performing covers and originals. FREE. 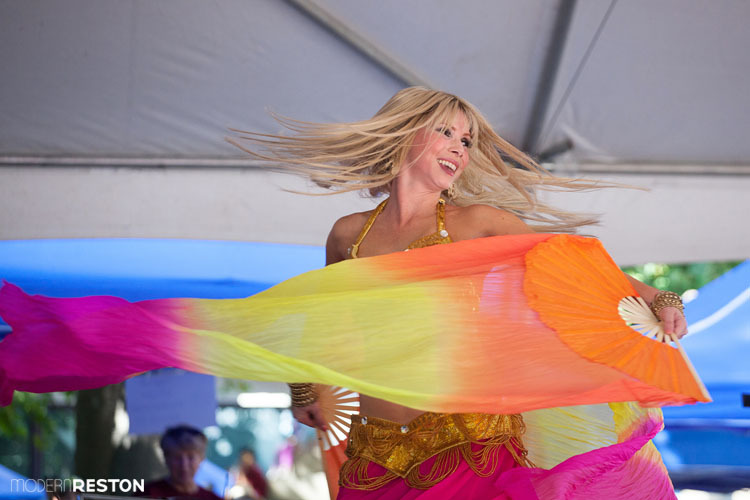 One of the area’s best annual events is the Reston Multicultural Festival, taking place on September 24th. This festival is another Modern Reston favorite! 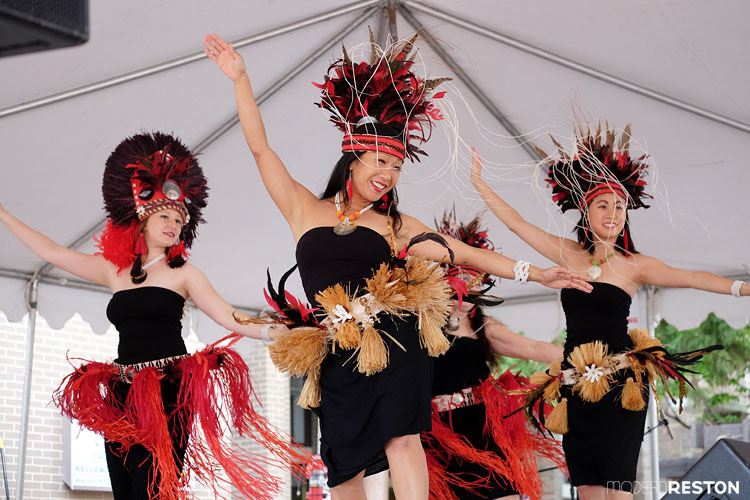 The festival features live music and dance performances, a naturalization ceremony, an international book fair, arts and crafts, an art exhibit, and food from around the world. FREE. A festival and and dedication ceremony will mark the grand opening of this historically significant new Smithsonian museum. Museum admission is FREE but requires reservations. The festival is open to the public. This local brewery is celebrating its first anniversary. Attendees will receive a 10oz Aslin anniversary glass, 15 tasting tickets good for 15 (5oz pours), an anniversary t-shirt, and Aslin JuiceBomb sunglasses. Tickets are $100. Choose to run 10K or 10miles. All finishers will receive a medal. Register online. Explore various nature stations throughout the park including butterflies, bees, life in the meadow, web of life, and much more. Live animal shows throughout the day. FREE. Join in and unite in a movement with the Alzheimer’s Association to reclaim the future for millions. Register online. Bring the family for a live concert with food trucks, pop-ups, and children’s activities. This week’s concert features blues and rock. FREE. Paint, canvas, brushes and even a glass of wine will be provided while our experienced instructor guides you step by step through a painting. At the end of the night, take home your masterpiece. $46/$56, preregistration required.